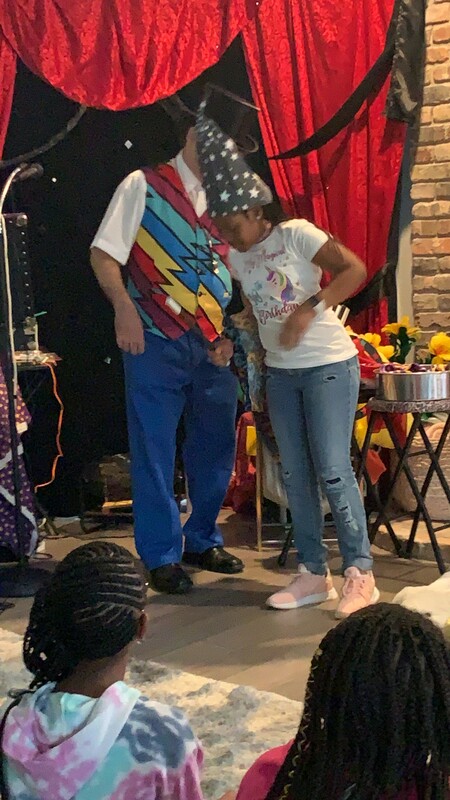 JOJO the Magician is a local magician and clown that has been performing in the New Orleans area for over 40 years specializing in Children's magic shows for all ages. I can entertain younger children and older children, my shows are all designed to be age appropriate. It was amazing, Jojo was the talk of the party. The kids loved him. 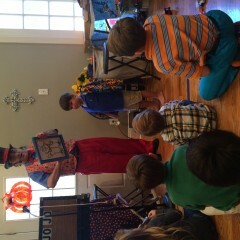 We hired JoJo to perform a magic show for our son's birthday party and t was great! It was a show that was enjoyed by all ages - kids 2 years old to 12 years old, plus the adults thought it was pretty neat too! There was something for everyone - juggling, jokes, lots of audience participation and of course cool magic tricks. 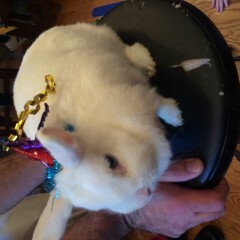 The birthday bunny was a highlight too! It was great that he let the kids volunteer to help out with the tricks and they all loved the special balloons that he made for each child afterwards - it was amazing that he could turn a balloon into such cool designs - ninja turtle, Spider-Man, a sword, etc. - it was an extra party favor for the kids! 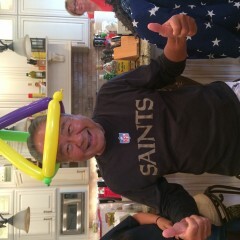 He even made a fun balloon hat for my dad! Would definitely recommend - JoJo was very prompt in returning messages when I was booking him and on time for the event! School Performance Was a Hit! Jojo was the highlight of the day for so many of our kids! 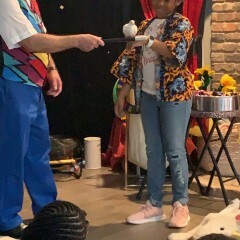 He was funny and engaging, and the kids were blown away with the live bunny and the real bird that were incorporated into the show. Two thumbs up for Jojo from our school! JoJo was the best!!! He is so great with kids!! My daughter turned 10 and they all were like 2 year olds with the Awww and Oooh! I definitely recommend him. He took pictures with them, he called the up to participate. The best Magician hands down! Highly recommend Jojo. Professional, on time, and was highly flexible with our group. Very funny. Perfect for kids and adults. His performance includes a live bunny and birds. Really first-rate! 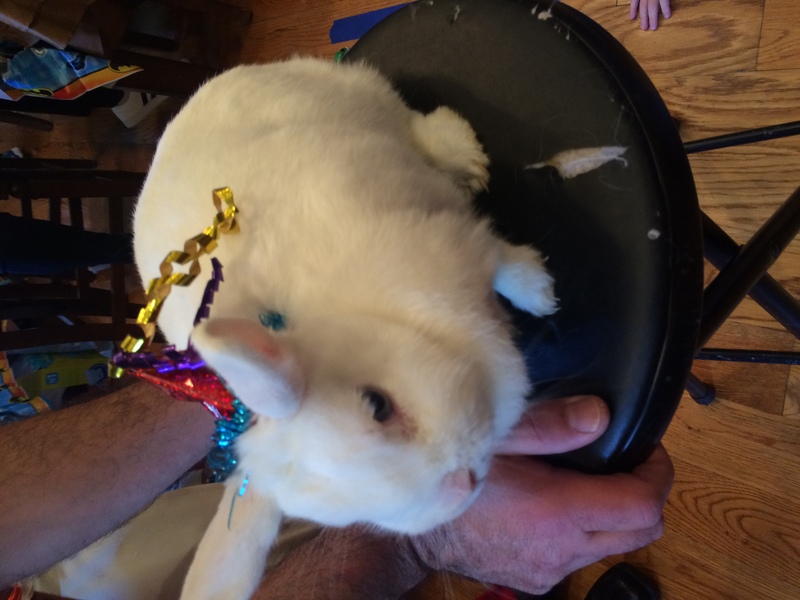 We had Jojo for my son's 4th birthday party. It was a hit! All the kids (and adults) enjoyed the show! His balloon animals were also awesome! Jojo was absolutely fantastic. Did a great job engaging people and and all anyone said to me was how amazing he was. I would hire him back in a second. Thanks! I enjoyed performing at Alejandro's party! I need the recipe for the potato/chicken salad you sent home with me. After I got home I ate it all and loved it! Wonderful and great with the kids! Jojo was very friendly and fun! He didn't stop making balloons from start to finish. Some of the children walked out of out party with bags of balloons!! He was wonderful!! JoJo came for a corporate event and was fantastic. We hired him on behalf of our clients and they were thrilled. We would highly recommend hiring JoJo. We hired JoJo to attend my son's end of the year preschool party at Christian Brothers. JoJo was the highlight of the party! All of the kids loved him!! He made special balloons for each child and the teachers, plus extras for anyone who asked. It was pretty neat to see all of the designs he could make quickly out of balloons - swords, spider man, different animals, plus fun hats. He came dressed in festive attire - colorful vest and hat (we didn't have him dress as a clown in case any of the young kids were afraid of clowns). JoJo was great to work with - he answered texts very promptly and arrived early to the event. 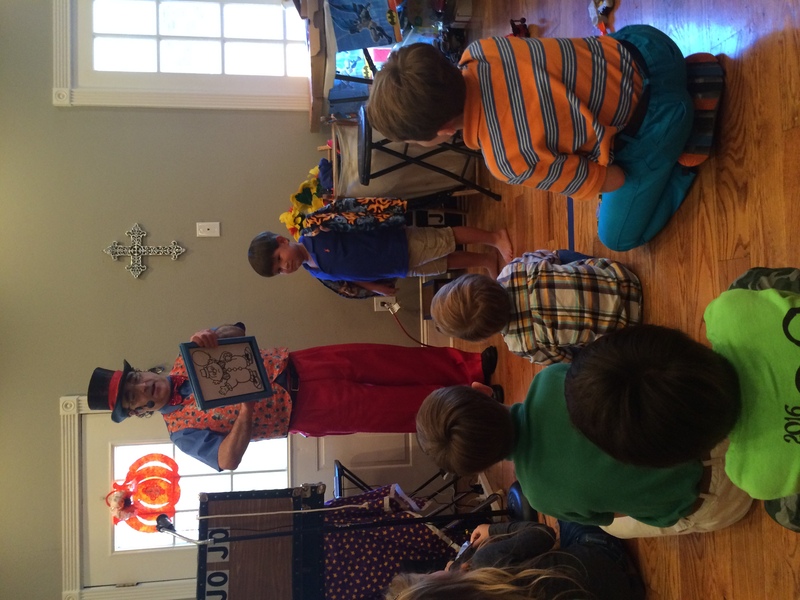 We used him once before to present a magic show for my younger son's birthday party and plan to use him again. Would definitely recommend! JoJo visited my friend in the hospital on *very* last minute notice (and was super flexible with scheduling), and he did an amazing job. He really cheered my friend up, and also cheered up the nurses and my friend's elderly roommate! He even stopped by the grocery to pick up a bouquet of flowers on the way, which was on his own initiative and was so sweet. My friend is still talking about how nice it was. I would give him a million stars if I could. Thank you, Jojo! We loved the show! The kids and adults enjoyed! We booked Jo Jo for my daughters 7th Birthday Party. 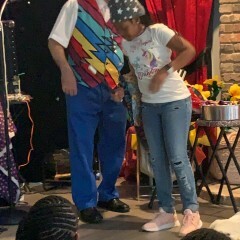 Jo Jo was an amazing magician and fantastic with all the children. His show was fun, exciting and very entertaining for all involved including the adults. My daughter really enjoyed the REAL rabbit he made appear. 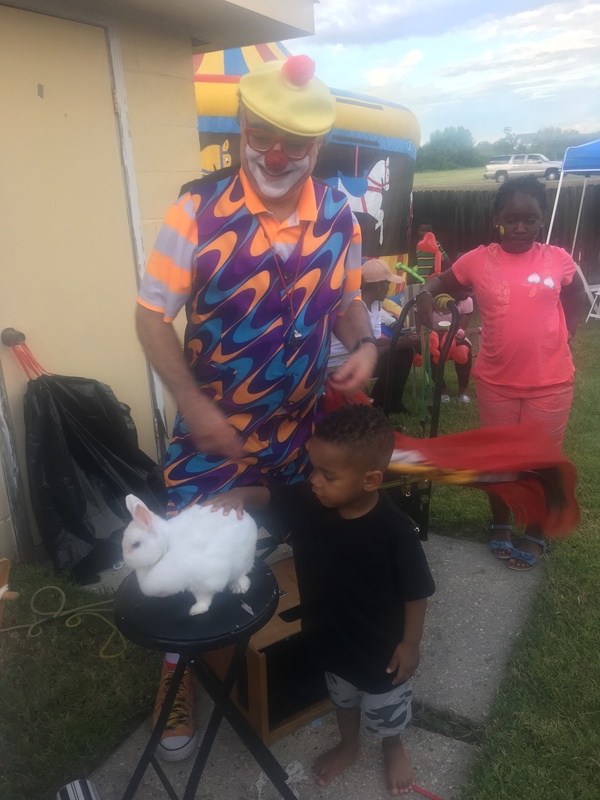 This was amazing, Jo Jo allowed the children to pet the rabbit and get involved in all the magic tricks which the children loved. He was very professional and his stage props were amazing. I would recommend Jo Jo to anyone who is looking for an excellent Magician. 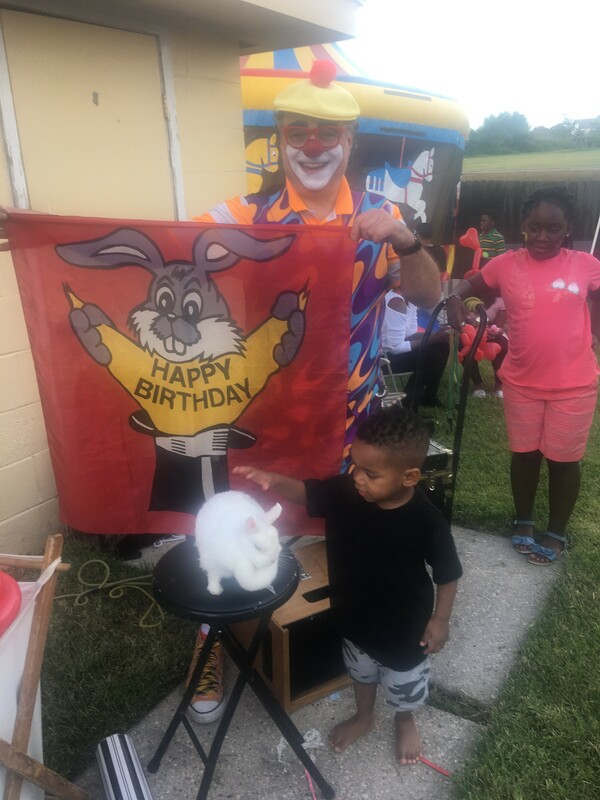 Jojo truly brought home the carnival theme for my daughter's 6th birthday! The kids thoroughly enjoyed and the birthday girl said, "mom that was the most amazing thing" lol. Jojo was very professional, prompt and worth every penny!!! I feel like we may do a carnival party next year just to have a majic show!!!! Great job Jojo! JoJo was amazing, he arrived 30 -45 mins early even on a last min booking. We could not be more satisfied. 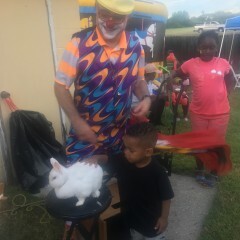 He put on an awesome show for the kids which lasted about 45 mins and another 30-45 mins of balloon animals. The show was interactive and all the kids had a blast truly a moment that will last. I would recommend him to all my friends and family!!! 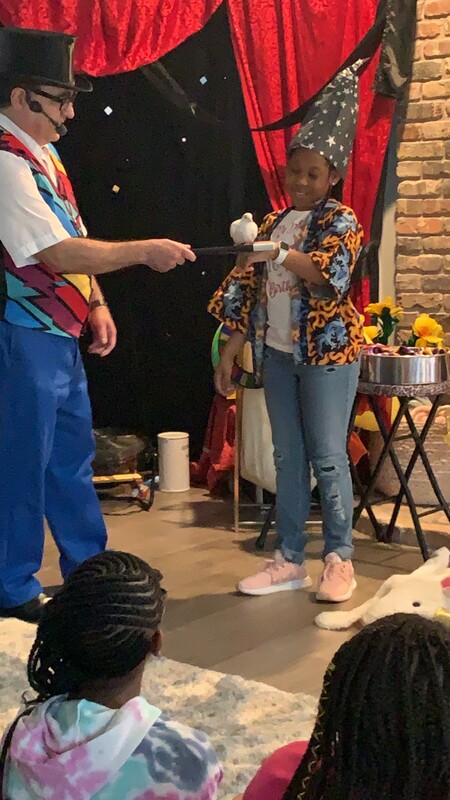 I am one of New Orleans longest performing children's magicians. I have been performing over 40 years in the New Orleans area. I was born here, so I am a true local. In my magic show I start out juggling balls, bats, and rings for 2 minutes, it is a fast paced warm up. Then I start the magic, and do colorful amazing magic to music for a few more minutes. Then I make a real rabbit appear! Then I do some more magic where volunteers get to help me. This is a perfect time for the Birthday child to help me. They get to wear a costume and help do the magic, making a perfect photo op. I also have a puppet that does a magic trick and other funny things. At a birthday party I do a 30 minute show and then make balloon animals for the children, up to about 30 children, total time one hour. 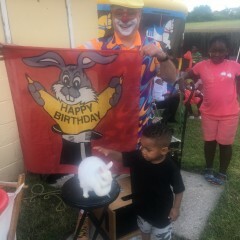 For other Family shows with more than 30 children, Instead of balloons, I do a longer magic show that lasts from 45-55 minutes. I am also available by the hour to make just balloons, or I can add balloons to the family show for an additional fee. I also do amazing "Strolling" magic for adults, and even children! This is booked by the hour. I can also be booked by the hour to do juggling for your event. 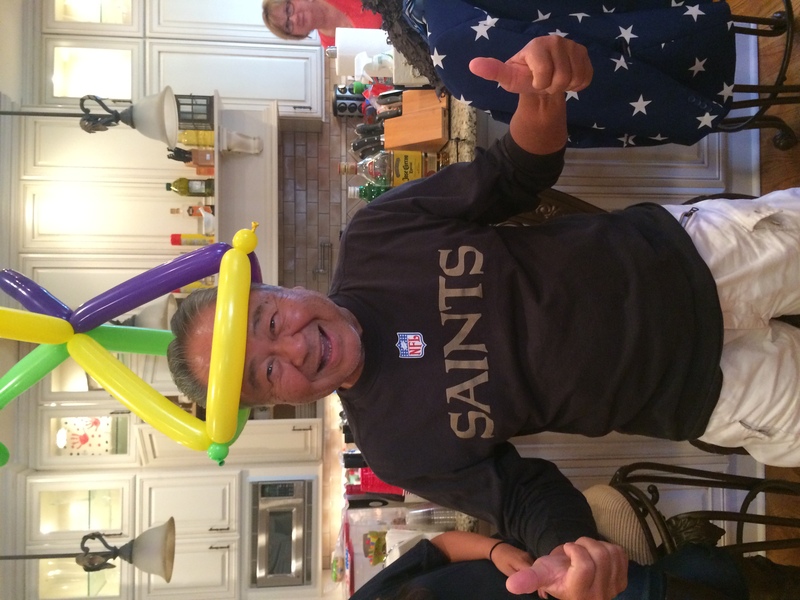 I am a professional local magician with over 40 years experience in the New Orleans area. I also do amazing walk around magic for adults. The show is 100% better performed indoors.